February on the local Chinese calendar marks the biggest holiday of the year! It’s Lunar New Year and 2019 is the Year of the Pig. There are parades, festivities and events all over Vancouver from the streets of East Van and the Granville Island to downtown Vancouver, and, of course, Richmond. And let’s not the forget the malls. Metropolis at Metrotown has a dazzling lantern display, while Oakridge and Pacific Centre are also decked to the nines with red lanterns. There will also be live entertainment, craft-making, treats, and even red envelopes! The yummiest Lunar New Year treats in the city! Here are just a few of the family-friendly festivities happening in Vancouver over the next three weeks. Get ready to snap a few pics of family and friends! This Instagram-worthy lantern display at the Grand Court at Metrotown at Metropolis features hundreds of lanterns, and that’s not all! Metropolis is hosting Chinese calligraphy and lantern making, traditional Chinese dance performances and more. They will also be giving away lucky red envelopes throughout the day in Grand Court from February 4th to the 6th, with a chance to receive a Metropolis at Metrotown gift card or other prizes. From February 1-19, visitors can also enter for a chance to win a $1000 Metropolis shopping spree. 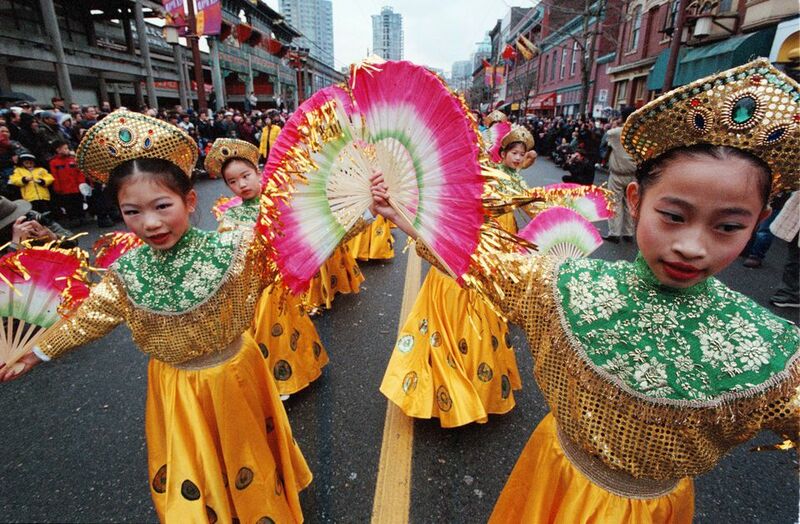 If you’re looking for a big, historic event, head downtown on Sunday to The Chinatown New Year’s Parade featuring over 4,000 performers and drawing almost 100,000 spectators along the route. It will be a ton of fun with lots of colour, music and food, but bear in mind that it’s also loud and crowded so make sure you little ones are up for it! This Chinatown mall will be filled with traditional Chinese spring festivities and rituals over 3 days (Feb 8-10), with exhibition and sales booths on both levels showcasing Chinese New Year items, souvenirs, culinary delights and gift wares, live stage performances and lucky draws. There will be a ceremonial opening and lion dance, attended by officials from three levels government, consulates, and local celebrities. The event caps on the last day with the renowned Chinatown New Year’s Parade. Did you know that Stephen King, Hilary Rodham Clinton, Mark Whalberg and Albert Einstein were all born in the Year of the Pig? According to lore, a pig represents luck, overall good fortune, wealth, honesty, general prosperity, symbolizing a hard working, a peace-loving person, a truthful, generous, indulgent, patient, reliable, trusting, sincere, giving, sociable person with a good sense of humour and understanding. Celebrate the Lunar New Year on Saturday Feb 9th with a traditional Lion Dance parade starting at 10:30 am in the Public Market. Follow the lion dancers as they travel to the Net Loft, Creekhouse and Railspur Alley. Take in sugar painting showcase from 11 am to 2 pm, where the artist uses a traditional Chinese form of folk art using hot, liquid sugar to create two or three dimensional figures. During this family-friendly feature, a mythical dragon soars over some of China’s most spectacular landscapes and scenery – including the Great Wall of China, Zhangjiajie National Forest Park, the city of Shanghai and more. Then, take off again to experience FlyOver Canada, an exhilarating journey from east-to-west across Canada. If you’re downtown shopping, check out the CF Pacific Centre Mall for Lunar New Year celebrations on Friday, February 8th at 3:30 pm in the Rotunda with Purdys Chocolatier. Enjoy a Lion Dance, Dotting Ceremony, God of Fortune and our iconic red lanterns decorated throughout the mall to signify prosperity for the year ahead. This free two-day festival is steeped in lunar traditions, features culinary delicacies, crafts, traditional lunar performances, art installations and more. Win a prize in the Universe of Piggy Banks and learn about cultures and currencies around the world. Be sure to meet the Pig Heroes, make yourself a lantern, enjoy delicious lunar eats, and take home lots of crafts. You can also make a piggy bank at the Vancouver International Children’s Festival booth! Coast Salish Nations also celebrate Lunar New Year. Eight gigantic and iconic lanterns will be raised to ring in the Year of the Pig at Jack Poole Plaza designed by Musqueam, Squamish, and Tslei-Waututh artists and a guest indigenous artist from the Zihing tribe in Taiwan. Oakridge Centre has kid-friendly activities for most of February. Walk through the Galleria of Imperial Inspirations, a fashion exhibition from local and Asian designers, and on weekends, kids can make and collect hand-held Pig Hero lanterns and see a live showcase of Koran, Vietnamese and Chinese entertainment. Head up to Wesbrook Village on Saturday and help ward off any evil spirits at the annual Lion Dance. Follow that up with some festive craft-making at the community centre. On Feb 4 and 5, Richmond’s Aberdeen Centre will be chock-full of Lunar New year celebrations from countdowns and live entertainment to a lion and golden lion dance. Festivities includes dances, music, dance, fortune telling, giveaways and even a “surprise” visit by the Chinese God of Fortune who will also be available for photo ops! Looking for a culturally interesting outing? Head to the Buddhist Temple in Richmond on Feb 4 in the evening for Lunar New Year’s Eve. Although the celebrations go all day, nighttime is when they really shine. Burnaby Heights celebrates the Year of the Pig with merchants and shoppers. 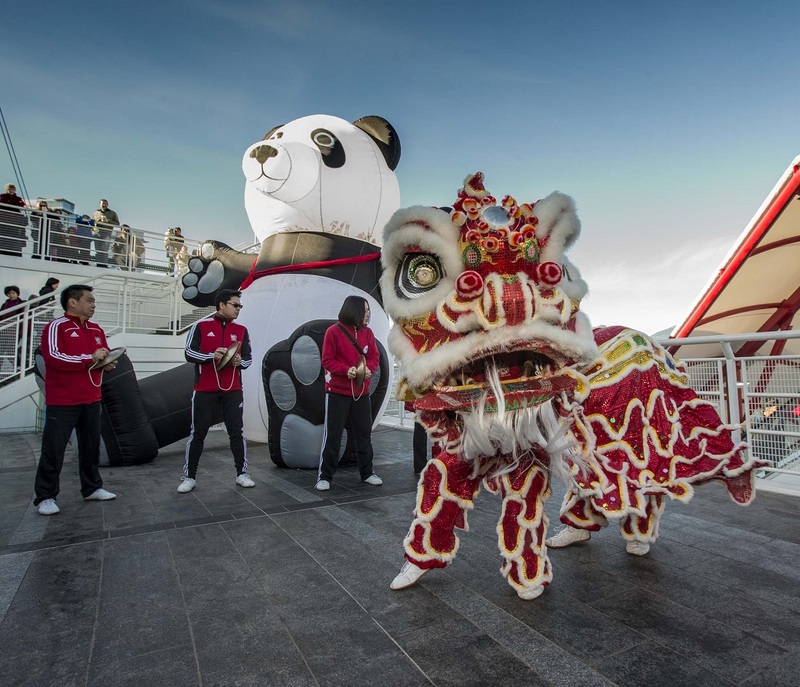 Lion dancers will perform the traditional blessing ceremony at participating Heights merchants along Hastings Street (between Boundary Road and Gamma Avenue) to spread good fortune.